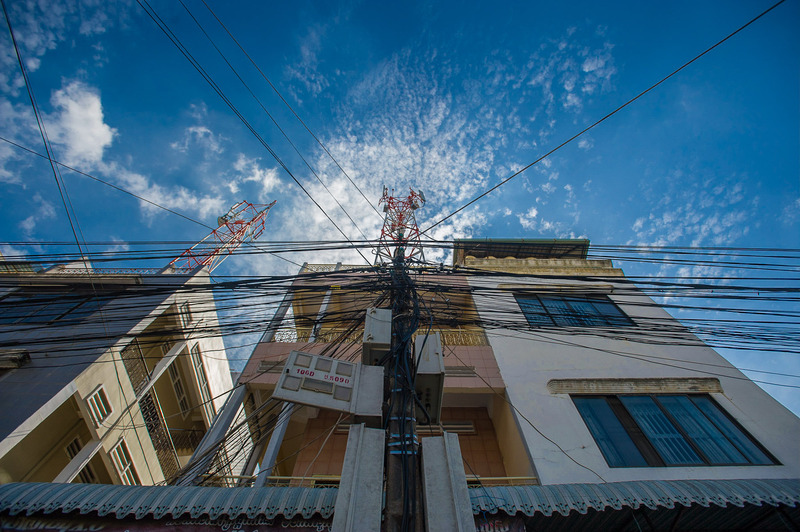 Clustered powerlines on electric pole, Phnom Penh, Cambodia. Clustered powerlines on electric pole, Phnom Penh, Cambodia. Back lit telephone pole with many power lines with blue sky and buildings.